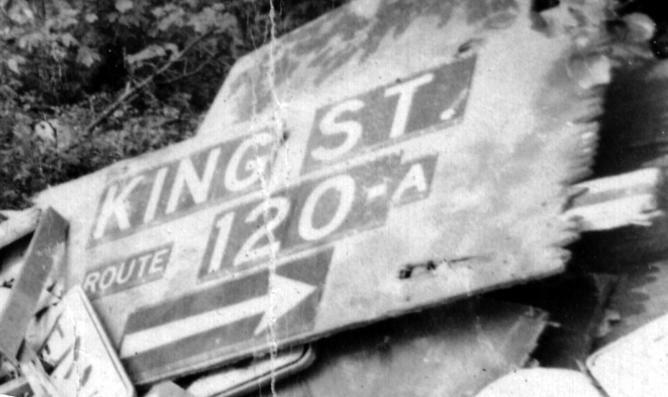 Original Merritt Turnpike signage from as long ago as 1937 lies in a pile in 1969, ready to be crumbled into junk. Thanks to Michael Summa for recovering this rare specimen. The flat-painted wood had reflective lettering applied, but I've never seen a night photo to see how well that performed. Wolf Harbor Rd. 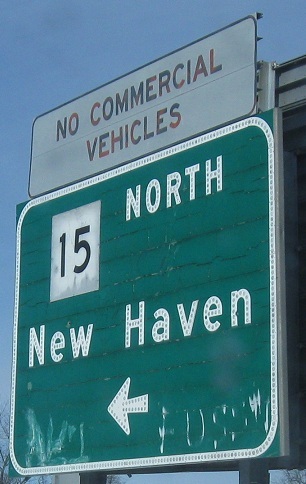 EB and WB at the Exit 54 onramp right where the Merritt and Wilbur Cross Parkways meet (Milford Pkwy. 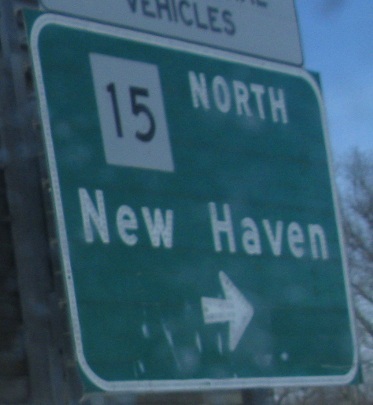 interchange).